Samsung hits Apple with three more blows in commercials for the Galaxy S9. Samsung continues tyring to sell smartphones with advertising that gives more airtime to Apple. Three more commercials in Samsung’s “Ingenious” campaign went public today with a belief in accentuating the negative. Each exploits a different criticism of the iPhone X – the need for a dongle, the lack of a fast charger and a camera that gets lower test scores than the Galaxy S9. 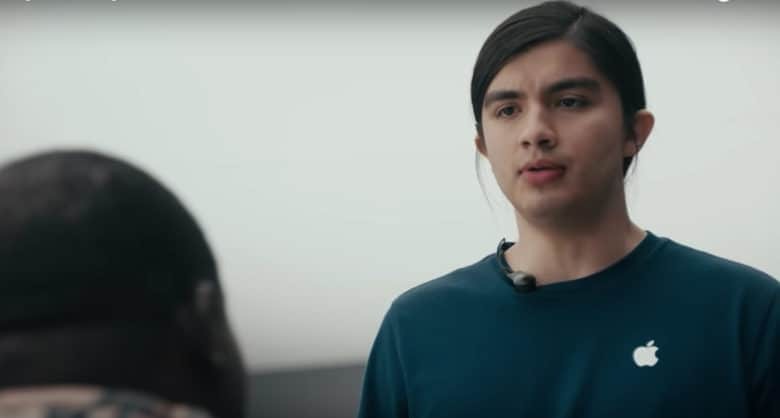 “Ingenius” is, of course, a diss on the Apple Store Genius Bar, and the commercials seemingly take place in an Apple Store, where a blue-shirted store employee provides odd logic to customers seeking an upgrade. The whole point, of course, is a true upgrade is found with a Galaxy handset. The three new ads follow another Samsung ad released Wednesday that jabs at iPhone X download speeds. The dongle commercial continues to hammer at Apple’s decision to eliminate a headphone jack in favor of a better waterproof rating. An adaptor, or dongle, would be needed for users who do not wish to buy wireless headphones, like Apple’s AirPods. Another commercial takes a swipe at Apple for not including a faster charger with its newer iPhones, adding more expense to the customer. The most genius of the “Ingenious” ads involves the iPhone camera and a customer confronting the employee about the Samsung S9 getting a higher DxOMark score than the iPhone (the difference was 99 to 97). In addition to suggesting that the iPhone’s cultural significance as a camera is all hype, the ad funnily and subtly pokes fun at the fierce loyalty of Apple fans. The employee confirms Samsung’s DxOMark win but suggests the testing should not be believed.